A wave-like, oscillating wiggle that repeates in a regular fashion. 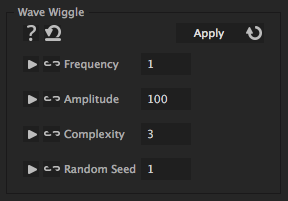 Technically speaking, this wiggle merges a smaller or larger collection of sinewaves, depending on the complexity. determines, how regular the movement is.